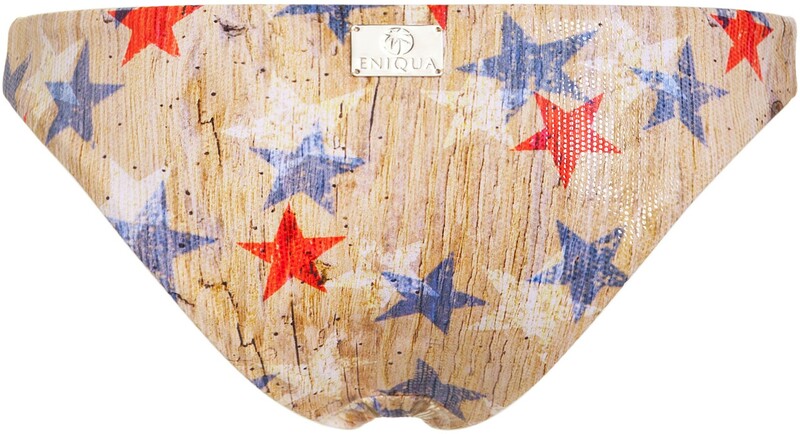 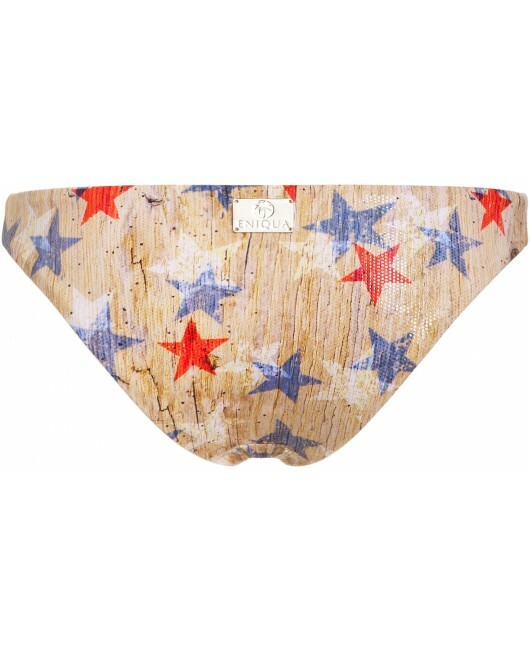 Shiny triangle bikini with wood and stars design print. 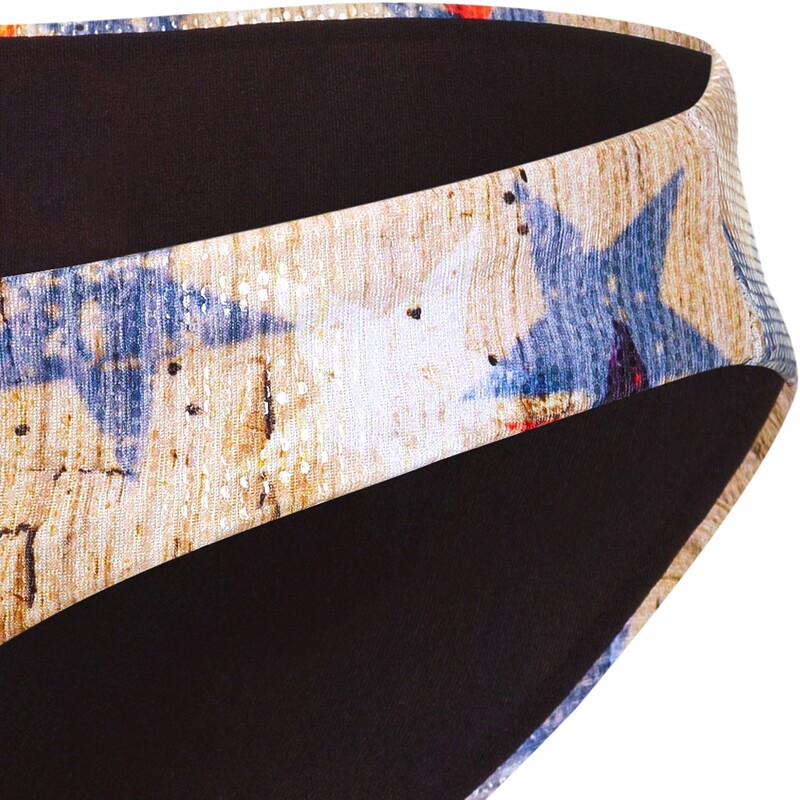 Comes with silver cordstoppers and silver metal elements. 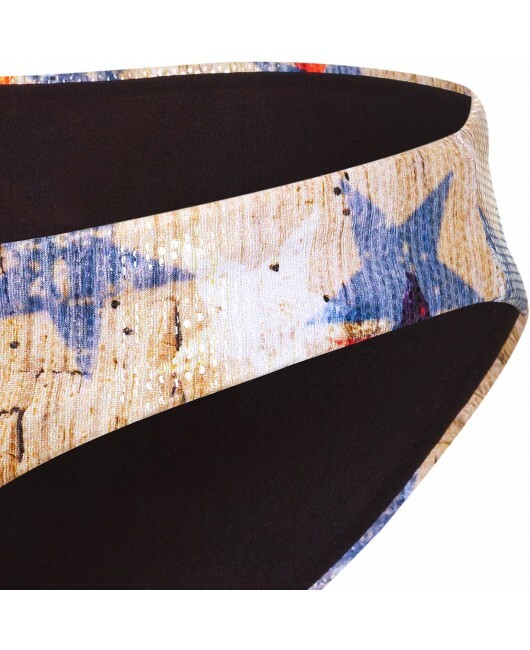 The triangle top has removable pads.